书籍简介: Whether organizations face uncertainty or meet the challenge of the constant pressure to innovate, leaders must dig deep to keep their focus and stay effective. In this landmark book, Andrew Razeghi isolates the critical factor that is at the core of successful leadership in any climate. 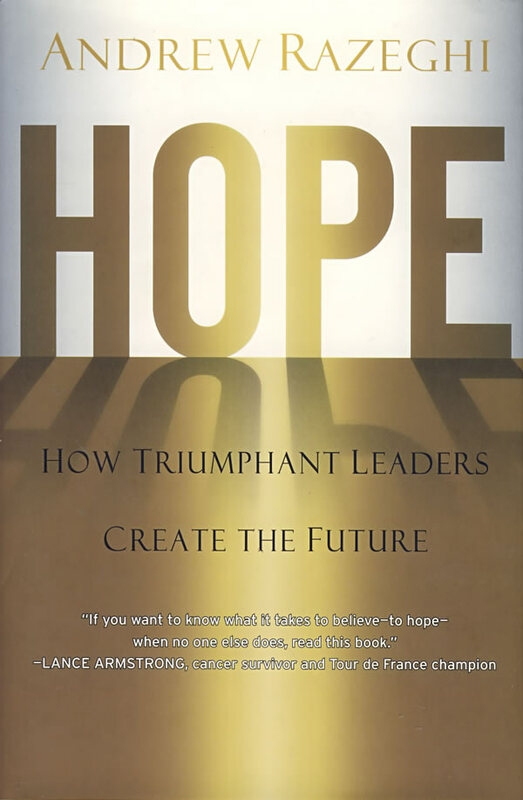 Hope is based on research from neuroscience and behavioral psychology and interwoven with real-world stories of entrepreneurs, elite athletes, political leaders, and groundbreaking scientists. Razeghi shows that hope is a proven tool for competitive advantage and clearly demonstrates how it can be nurtured and developed. Throughout the book, he outlines a proven strategy for honing leadership skills and shows how to apply this strategy to individuals, teams, and organizations.